Show your next employer that you carry home improvement contractors insurance by quickly downloading our Certificate of Insurance online. You can even add a new business you're working for as an Additional Insured before you download. And there are no extra fees, ever. Go ahead and book that big job, or think about expanding into the next county; we've got your home improvement business insurance covered, so you can work on what matters to you: your business. You can even cancel online instantly, anytime. Cash flow trouble? 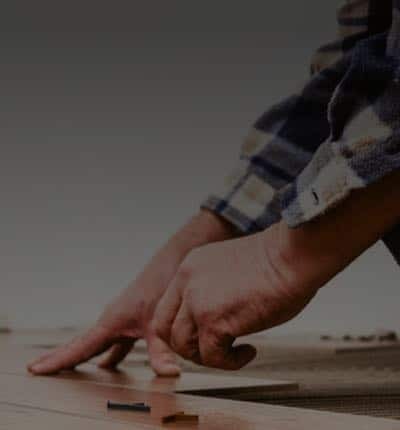 Our payment plans allow you to pay your tile, stone, and flooring installer insurance premium on a monthly basis so you can keep your business running and insured at the same time. Of course, we don't charge any extra fees if you choose that option. Some tiles fall while you’re in the process of installing them in a bathroom and hit your customer's foot, breaking it. Your customer sues you. When moving your tools into the house and up the stairs to a second floor bathroom, you accidentally damaged the hardwood floors and your customer demands you fix them. The headline for one of your Facebook ads greatly resembles one featured by a competitor. They sue you for advertising harm.